To join the efforts around the First Tooth First Birthday campaign, please contact First 5 Executive Director David Brody. 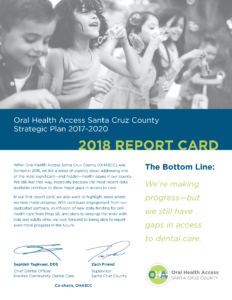 To join the Mandatory Kinder or First Grade Dental Screenings efforts, please contact Santa Cruz County Office of Education Supervisor Michael Watkins. To join the effort to make the application of fluoride the standard of care at well-child visits, please contact Santa Cruz Community Health Centers Pediatric Medical Director Dr. Salem Magarian. 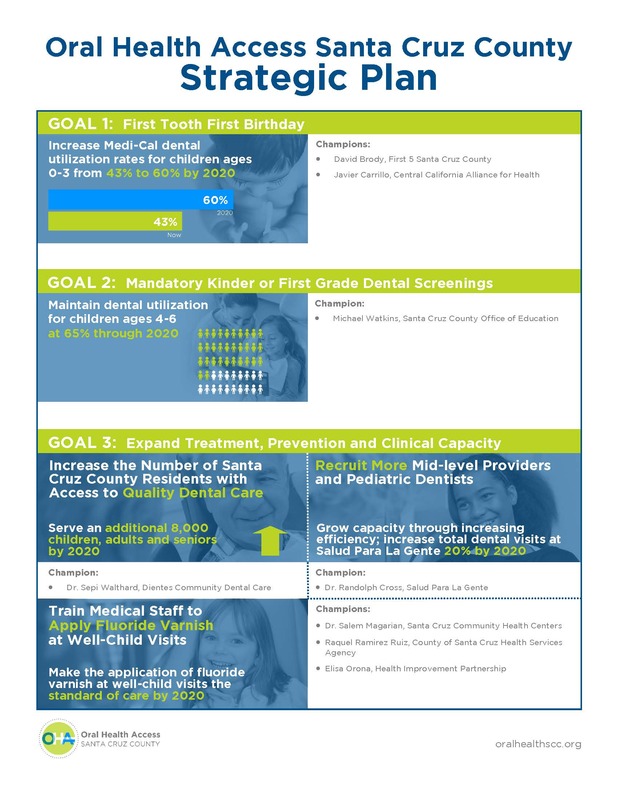 To learn more about Dientes’ plans to serve more than 5,000 patients, please contact Dientes Community Dental Care’s Dental Director Dr. Sepi Walthard. To learn more about Salud’s plans to increase their capacity by 20%, please contact Salud Para la Gente’s Dental Director Dr. Randolph Cross.